At that time I was still trying to decide on the tracks for this weekend’s podcast, then……the light bulb went off. I had never done a pure ambient show before….at least before now ;-). 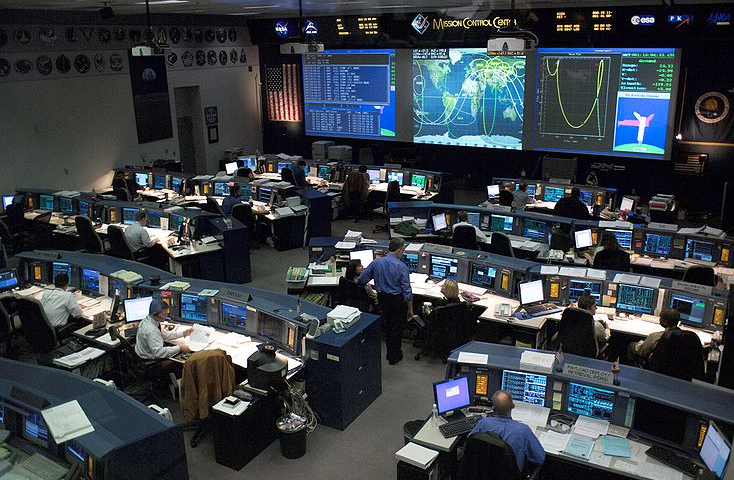 So, I present to u, The Sunday Soundtrack STS-128 Mission Control Flow. I know that I have a few ambient fans out there, as well as a few Twitter followers that express keen NASA interest, either as an employee or enthusiast (some of you know I supported NASA as a systems engineer for 8 years, and began my career in satellite communications in 1988). I had the good fortune of visiting Cape Canaveral to view a launch of satellite that was one of ten that got put into orbit, part of a Dept of Navy program I worked on. If you ever have a chance to view a launch, take advantage of it…it still excites me. Space Shuttle Discovery Launch audio. The STS-128 mission to the International Space Station. For getting excellent launch and mission coverage, follow Space Launch News on Twitter. Special shout out to Hidden Place and Steph, my ambient expert and NASA bud.